Rum Point is one of those places where the clue really is in the name. 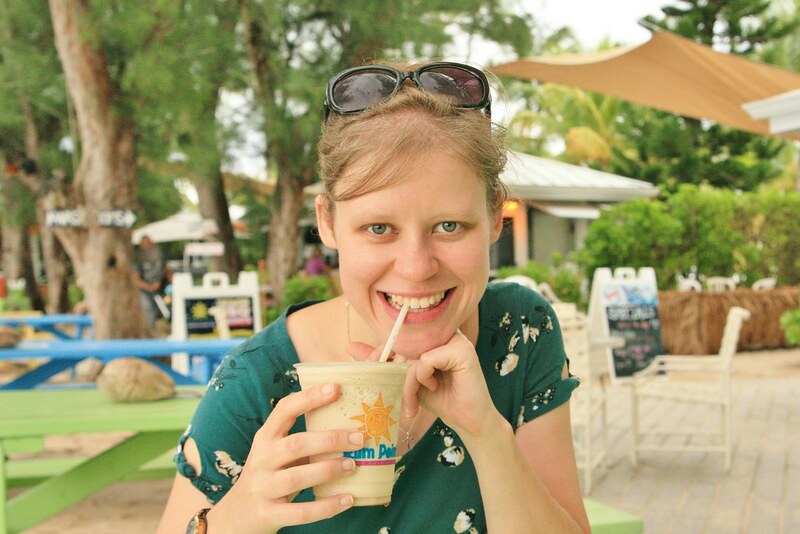 On our first day in the Cayman Islands, following the requisite post-travel lie in and time-zone adjustment and two-cups-of-tea (both for me - he takes a coffee first thing), we set out in our car to explore! Our ultimate destination was Rum Point, but we meandered around the coastal roads quite happily. Partly because that's the Caribbean way, and partly because we missed the turning to cut across the island. It's all good, man! We finally arrived, and a strenuous day of cocktails, food, beach and hammocks followed. 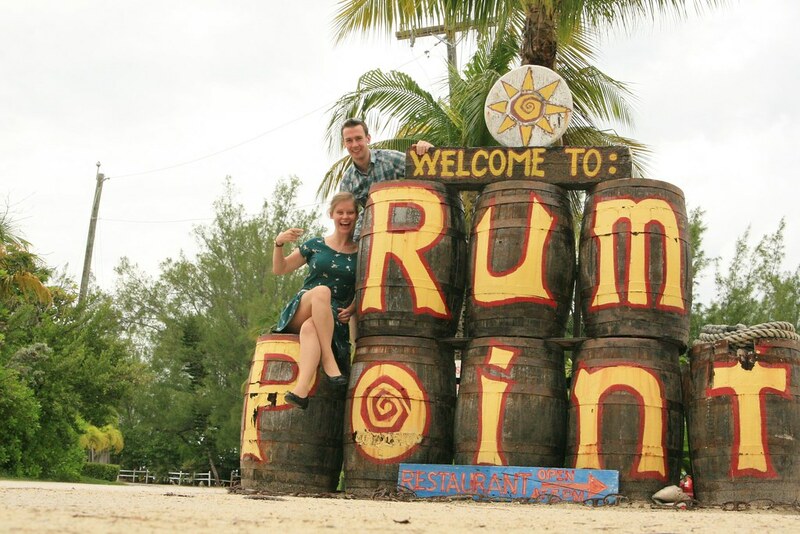 Beginning of course with a series of absolutely necessary self-timed selfies with the fantastic Rum Point sign. Some quite complicated ones which involved parking the car in just the right place so I could balance the camera on the bonnet, get the whole sign in, and be within 10 seconds of running-and-jumping-onto-the-barrels distance. We only blocked the entrance for a few minutes and no one seemed to mind. 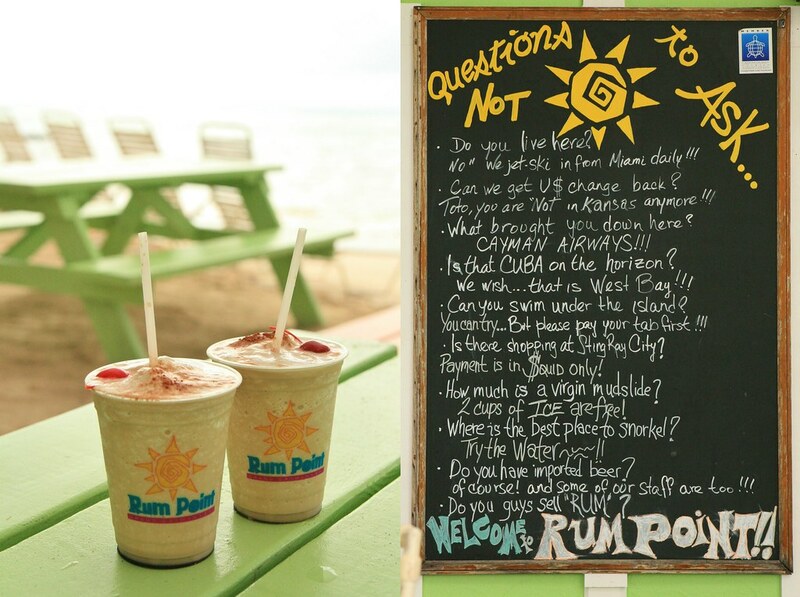 Rum Point's claim to fame, other than being beautiful and full of awesome, is that the Mudslide was invented here. A Mudslide is a delicious thing made of vodka and Baileys and Kahlua and ice. It's cold and sweet and creamy, and frankly it packs a punch. If you find it all a bit much, you can order a Virgin Mudslide which is free because, as the board points out, it's just a cup of ice. We stayed for lunch, sampling our umpteenth round of conch fritters (so delicious with spicy jerk mayo) and tucking into jerk chicken and mahi. 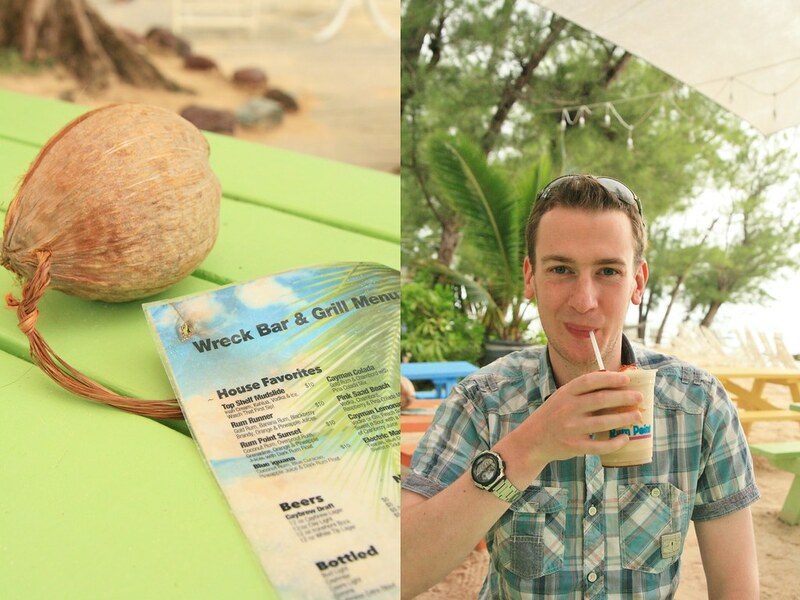 The food in the Cayman Islands was unfailingly mouthwatering, packed full of flavour and so fresh. Of course while we were eating, the heavens opened, but the unflappable staff simply picked up our table and moved it inside. Once our food was fully consumed, the sun had once again got his or her proverbial hat well and truly back on. 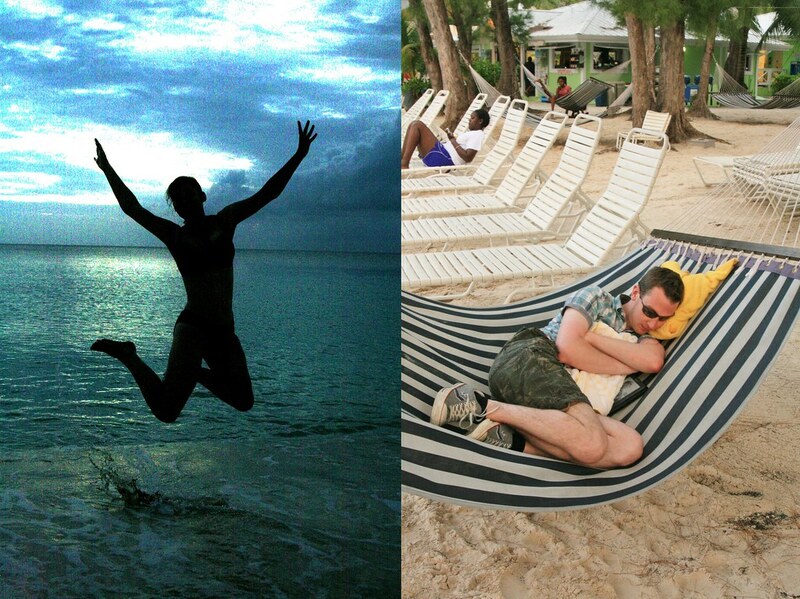 Which was good because it was hammock time again. Followed by knitting-on-the-beach time, paddling time, selfie-in-a-hammock time, reading-in-a-hammock time and silhouette-selfie time. Crazy busy. It was a a lovely, relaxing and very picturesque places to spend the day. 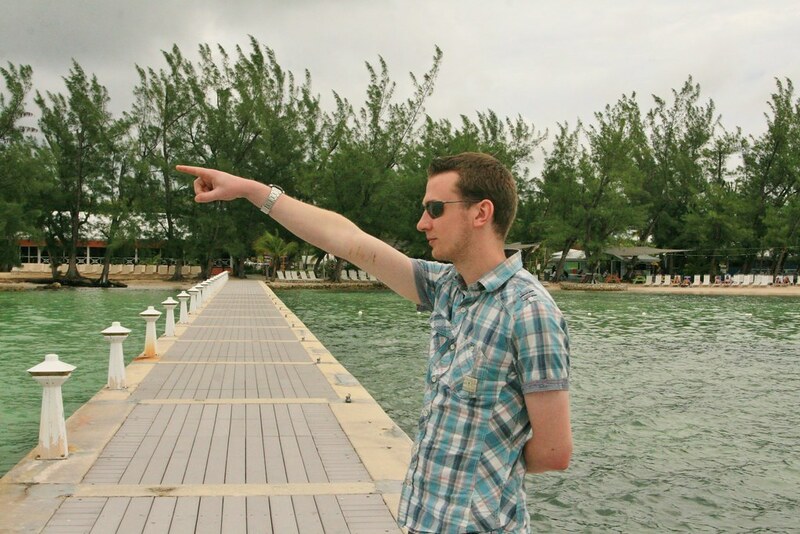 Apparently it's also a good place to do some pointing. Everyone was friendly, no one was in a hurry to be anywhere and life took on a very restful pace for the day. Very restful indeed for some people (although some of us prefer to get a little bit more splashing in before we relax). We stayed until sunset before piling back into the car. 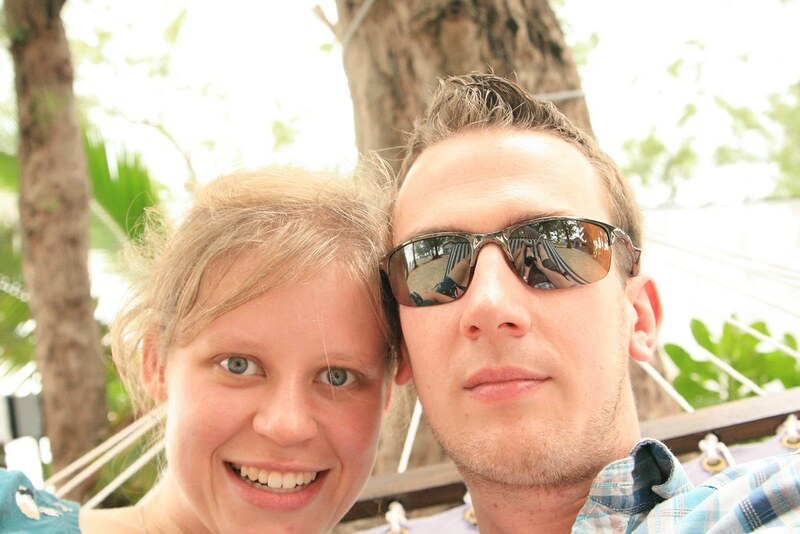 A wonderful day, and a great introduction to Grand Cayman. Oh, and we had dinner in a lighthouse on our way back to the hotel! P.S. I'm afraid the holiday-themed posts will continue for little while longer, so sorry if you're tired of my wittering! However, I'm working on a bigger crafty/scrapbooking/photo project which I will share after Christmas and I'm finding it really useful to organise my pictures and prepare my journalling through the blog. P.P.S. Plus I'm just so pleased with the photos and memories I've come away with that I can't leave them alone! P.P.P.S. At the end of this week though, I will have exhausted my photo stash, or near enough. And it will be Christmas blogging time! Plus it's almost a month since the holiday now. Time really does zoom along. Well I for one am more than happy to see great photos of somewhere I'm never likely to see in real life-keep them coming! Am loving the holiday snaps - and stories! I never tire of seeing photos of beaches and relaxed people and sea and happy faces.........and pointy fingers..! I think I want to go to Grand Cayman!